– Mishka Shubaly, bestselling author of The Long Run. As both women struggle with their lives inside and outside the hospital they are drawn to Nathan Rivers, a patient who committed a terrible crime a long time ago. They, and others, are beginning to wonder – does he still belong within the walls of the hospital? 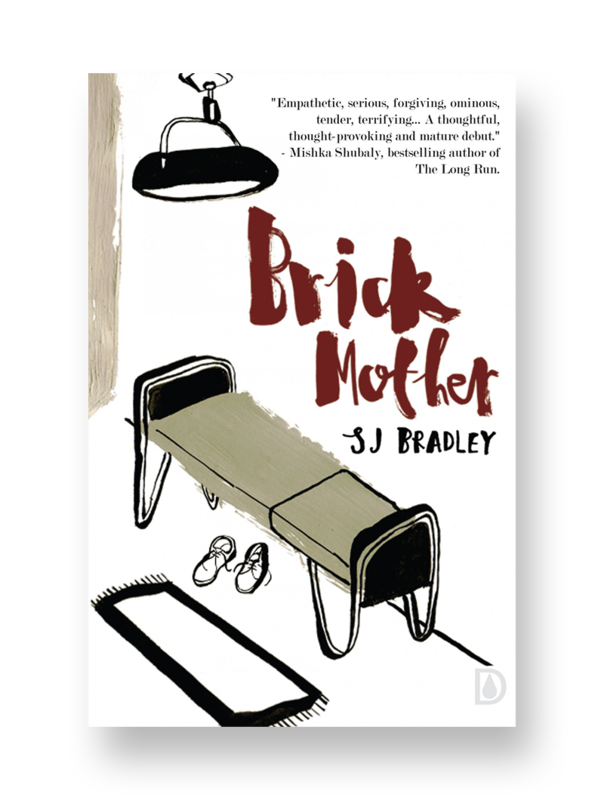 Brick Mother is a dramatic and emotive tale that peers into the lives of some of the most forgotten in our society. SJ Bradley manages to weave the plot of a thriller around the most simple and understandable of human emotions. Our ability to empathise and our willingness to doubt are turned against us in this stunning debut novel that is unflinching in its portrayal, assessment and conclusions. SJ Bradley is one of the organisers behind Leeds based non-profit literary social Fictions of Every Kind. Her short fiction has appeared in various journals and anthologies including our own LS13 where she was recognised as one of the top 20 writers under the age of 40 writing in Leeds. She was shortlisted for the 2013 Willesden International Short Story Prize.